During her 15-year career, Paramedic Katrina Scaife has made a huge difference in the world, one life at a time. Last fall, a woman contacted a local newspaper about the kindness and compassion Trina and her partner showed to the woman’s sick, elderly father. After transporting the man and his daughter to a hospital 150 miles from home, Trina returned to the hospital with a change of clothing, toiletries and money to help with their transition. Trina did something similar for a homeless man who lost his few possessions and nearly drowned after a flash flood. 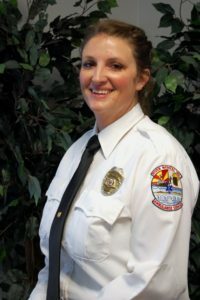 The “den mother” of her shift, Trina is known for educating co-workers and students on the qualities of a well-rounded caregiver. She is a role model for and frequent mentor to women who are new to the EMS field.